Seeing as how much of poker strategy is dedicated to full ring games (9-10 players), most cash game beginners start out playing at full tables. But just like any form of poker, full ring tables get boring after so many hours, and you’ll be tempted to eventually try 6-max games (6 players or less). If you find yourself in this position, here are some 6 max poker tips that can help you make the transition from full ring games to 6-max poker. One of the first things you have to be aware of with 6-max cash games is that you’ll be playing a lot more hands. This being the case, you will also experience more variance than with full ring games. 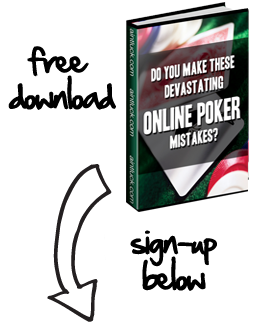 The increased upswings and downswings mean that you need to have a much bigger bankroll to survive. For example, if you’ve been bringing 300 big blinds onto the table in full ring No-Limit Hold’em, you should bring 400 big blinds to 6-max games. With less players on the table, the range of hands people are willing to play becomes wider. So if you are only willing to call a preflop all-in move with AA - QQ in full ring games, you might include JJ and AK in this range when playing 6-max (with exceptions against super-tight players). In a broader sense, open up the range of hands you play slightly, and be willing to call a wider range of hands from opponents. One more very important thing to remember when moving to 6-max games is that you should steal blinds and small pots more - especially in late position. The simple logic behind this is two-fold in that A) there are less players to call your steal attempts, and B) average hands are going to be a little worse in 6-max games, so players will be less confident in calling or trying to re-steal from you. When looking at the big picture, making the move from full ring cash games to 6-max isn’t like switching from Hold’em to 7 Card Stud; so don’t over-adjust and play way outside of your normal scope. Instead, just keep in mind that there will be some subtle differences you need to be aware of.